barf... very nasty "bean-y" aftertaste!!!! This is very gross tasting! I made cookies with this as the only substitute in my normal recipe (trying to make them more healthy), and they looked perfect, and the texture wasn't too bad (a little crumbly, maybe I should have added an extra egg or added a little more xantham gum), BUT the aftertaste made them just about inedible to me. My boyfriend thought they were ok (not great, but ok), but I think he was just being nice. I baked a small test batch and threw the rest of the dough out, they were that nasty. 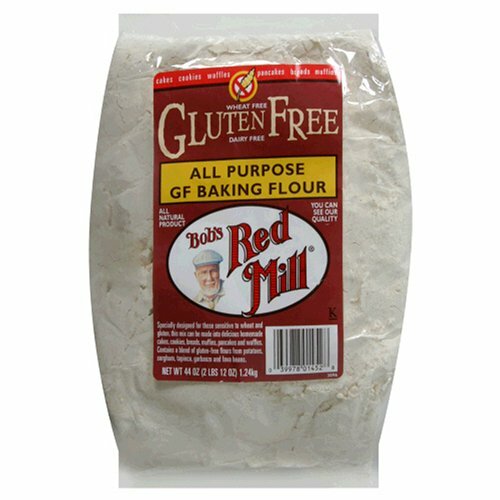 This flour is perfect for making gluten-free pizza crust. Just remember not to bake the pizza with sauce on it, because gluten is what keeps it from sinking into the crust. Caution: Strong Garbanzo Bean Flavor! 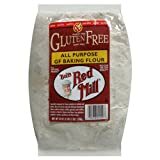 Pretty decent wheat flour alternative!